If you've been stocking up on stockings in anticipation of Reason 7 blowing your socks off, you'll have done well to keep the receipts. That's not to say there's little to set toes a-tingle in this latest version of Propellerhead Software's flagship title; it's just rather more subtle than might be implied by a whole-number upgrade. But before we jump in, let's step back and ponder. What began as a modular audio-production suite, complete with virtual rackmounted tone generators, sample players, signal processors, basic mixer and a rudimentary sequencer, has sprouted a bounty of bells and wodges of whistles since it sprang from Sweden in December 2000. Reason stood out from contemporary DAWs with its spaghettified, yet versatile audio/control routing and sheer fun factor, but its sound capability was the clincher. Developer Propellerhead cut its teeth on the smash-hit, acid-friendly app ReBirth, now an iOS app comprising software emulations of classic Roland TR-808 and TR-909 drum machines and a pair of squelchy TB-303 Bass Lines. Despite emulating the Roland hardware's less-than-friendly sequencing methods, ReBirth's authentic tones made it very much a must-have as the Millennium monged out in post-MDMA malaise. Back in the Dark Ages (circa 2000 AD), one could have dismissed Reason as a bit of a toy, but for the excellent timbres oozing from its original, analog-style 14:2 mixer. Then there was the sheer flexibility afforded by its modular-style, patch-cabled configurations. Hence Reason was a winner from the off and more stuff was stuffed into the suite. 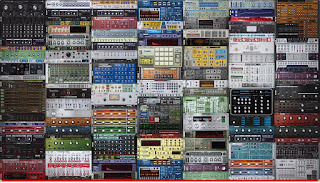 Powerful new synths, slick sample-based instruments, pro-style FX and more routers arrived. From Reason 6, audio tracking (formerly courtesy of separate product Record, now discontinued) became integrated. Gripes that Reason couldn't possibly replace a proper digital-audio workstation were queered when it was found to happily coexist with other DAWs thanks to some clever thinking by Reason's developer. The Props' own ReWire protocol means it can work seamlessly in sync with such leading studio stalwarts as Apple Logic Pro, Steinberg Cubase, Avid Pro Tools and more, as long as a suitably powerful computer plays host. Of course, one could dedicate a whole computer to running Reason and sync it via time code to the main machine's sequencer, but you'd miss out on ReWire's seamless audio routing from slave to host, making for further signal processing by the host's plugins. So, typical use would be to rely on the powerful MIDI-editing tools and tracking capabilities of a sequencer while slaving Reason for access to the rack. It's still a set-up with merit, in that there's not the high-end MIDI-mangling functionality of a big DAW to be had in this latest Reason. 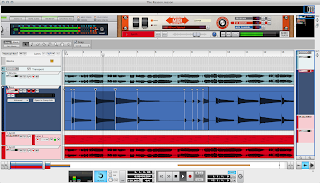 But there is one thumping great, thoroughly groovy feature: Reason 7 supports MIDI Out. 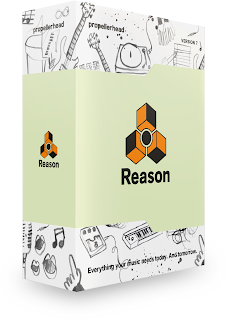 Reason 6.5 opened up the rack to third-party developers able to create devices as Rack Extensions, forgoing the incorporation of VST, Audio Unit, RTAS and other plug-in support. Well, the big news is that now we can control lumps of third-party. MIDI-equipped hardware. Incidentally, for all that some may grind and gnash dentures at the Props' decision to go for a proprietary plug-in architecture, Rack Extensions-only support is probably a good thing if the developer is inclined to police RE as tightly as Apple does software destined for the App Store. 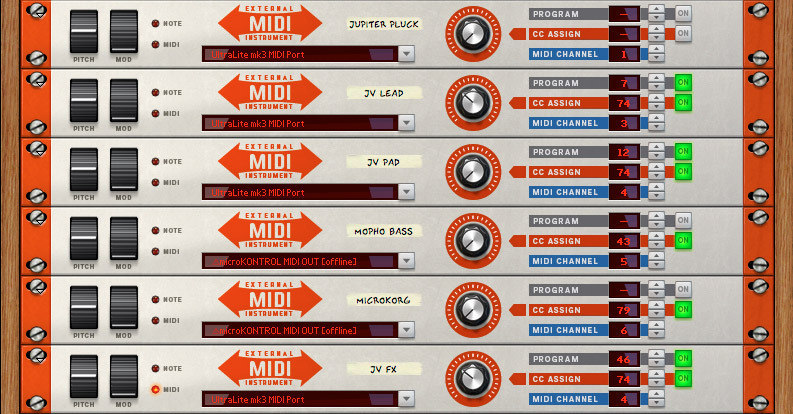 Anyway, back to external MIDI control. Where once you'd need the MIDI Out capabilities of a host DAW, a new module can route Reason 7's sequencer to whatever hardware MIDI I/O you may have on the system and thereby hose attached hardware with note and controller data. 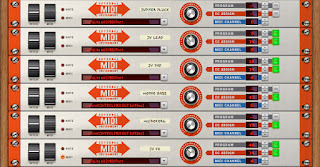 The External MIDI Instrument, one of only two new devices in the rack, is the gadget that gets it done. 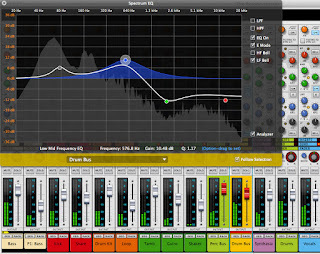 And any audio emanating from the hardware device can be routed back into Reason via your audio interface and recorded. Studio use aside, it's a welcome feature for those brave enough to take a laptop on stage with a yen to have hardware patch changes automated - guitarists with MIDI-equipped FX setups need never tap-dance again. The other main updates in Reason 7 are tucked away, and yet they're very bright lights indeed beneath the bushel. 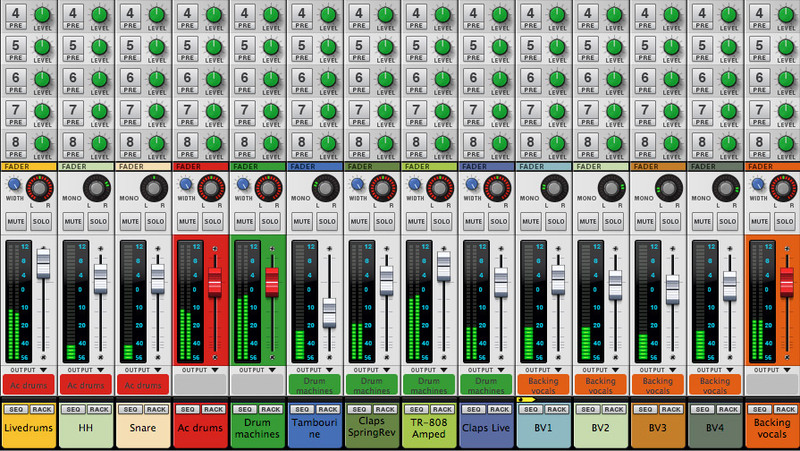 Reason's mixer, modeled on the SSL 9000k that was hauled over from Record 1.5 back in 2011, now features unlimited bus channels by which to create groups. You can perform such stunts as collecting instrument sections together for simple fades, grouping harmony vocals for ambient and compression 'glue' and the like. 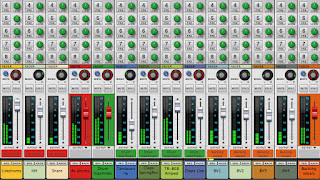 One technique volunteered by Propellerhead is to indulge in the one-click creation of parallel channels by which to apply parallel compression, aka 'New York compression'. It enables you to bring up softer sounds on multiple faders to add detail, rather than heavily compressing peaks, and is just a hint of the possibilities made readily available via a single mouse click. Imagination is your ally when exploring these new horizons. Usefully, you don't have to access the mixer itself for every channel tweak. Such oft-used controls as the level fader, pan knob and solo/mute buttons now appear right by the appropriate devices in the rack, which can be a real time-saver. 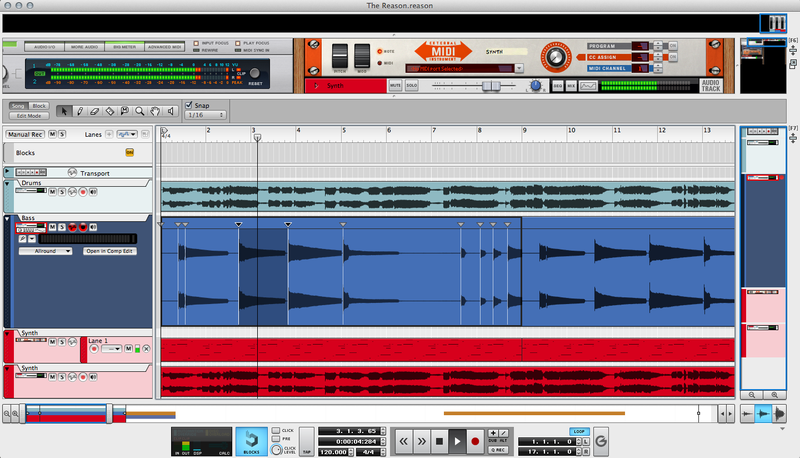 Digging further into audio capabilities, Reason can now automatically slice takes, right down to single notes and hits. Not only can you quantize recorded material, it's also up for time stretching via Reason's very tidy temporal tools. As you might expect, where there's slicing, there's the means to REX everything and open the files in Dr. Octo Rex, Kong and other REX-friendly devices. If you've the confidence to embrace the compositional possibilities this affords, your songwriting could well be transformed. Of course, faffing with unfriendly audio file types can damp experimental ardour, so it's jolly-d to see that Reason not only handles .rex, rx2 and .rcy, but .mp3, .aac, .m4a, .sf2 and .wma in Windows, but a whole load more in OS X - both OSs at 64-bit, if you don't mind. 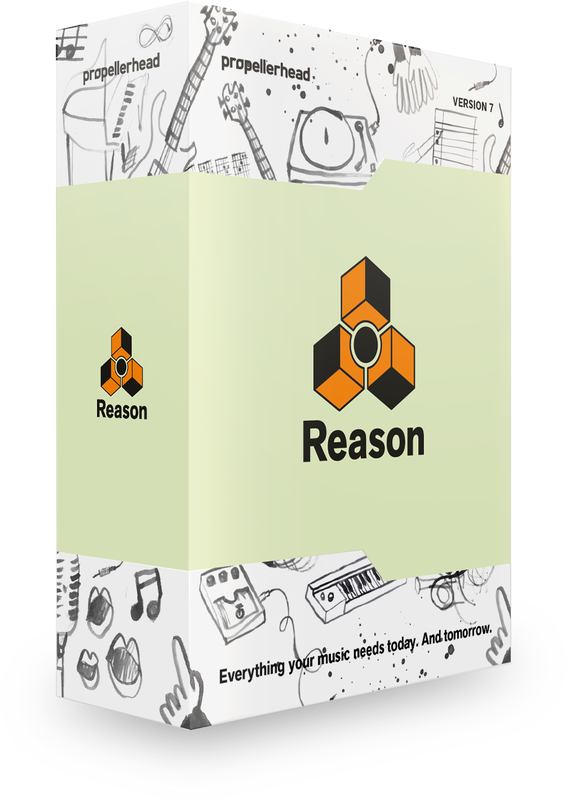 Reason also has its own sound bank file type (ReFill) and for version 7 the beat collection has been boosted with loops in the styles of big-room house, heavy metal and - you've guessed it - dubstep. It doesn't really matter what type of music you aim to produce, unless you're working to picture (no video support as yet). 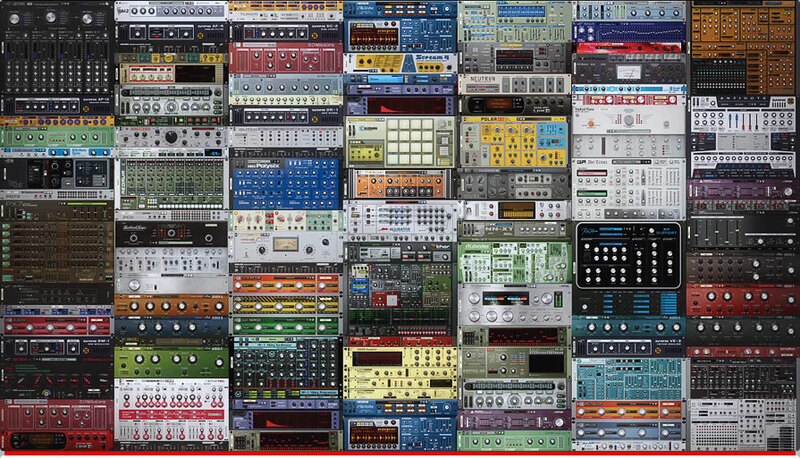 Reason 7 does it for EDM producers as readily as for posh farm boys with banjos (Mumford, etc). In fact, you don't even have to be a musician. If you've no talent as a singer, the Neptune pitch-correction rack device can get your vocals into passable shape for the Top 40 while a five-year-old handles tunes and lyrics. As mentioned, the new features in Reason 7 don't reach out and grab you, but they certainly help to make expressing yourself less an exercise in mugging up on a manual; more an elegant sashay from inspiration to auditory excitation. If you own versions 1 to 6.5, a ticket of £99 / €129 / $129 is well worth the upgrade for the enhanced mixer, audio manipulation and MIDI Out developments. And while not yet the DAW to end all DAWs in and of itself, R7 brings plenty of extra firepower to a studio already armed with a ReWire-capable sequencer. Whenever there's a whole-number version upgrade to a worthy software title, there are always worries that the product has been bloated with useless extra features for the sake of having them, and that new, session-busting bugs have been introduced. Thankfully, this is not the case here. If you've enjoyed this tour of Reason 7's new togs, and would like key music-tech news stories and word of freebies appearing in your Facebook newsfeed, swing by Doktor Fell @MuzoBlog on Facebook and click the Like button at top right. It costs nothing and keeps me enthused. Thank you in advance.